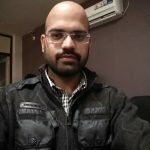 Hire the top freelance Prestashop developers. Next Big Technology is a team of top Prestashop developers, engineers, programmers, coders, architects, and consultants. Top companies and start-ups choose Next Big Technology Prestashop Developers for their project development.